Best played with family & friends! 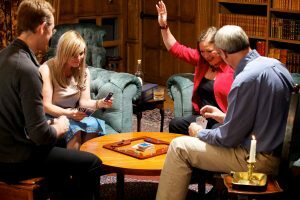 Stramash is a classic chase game where you have to get your “Laddies” round the board to the safety of your castle. You also need to stop your opponents. You do this by landing on your opponent’s Laddie so they have to go back to their start. Remember, they are trying to do the same to you! 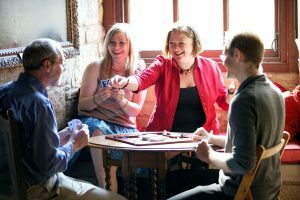 You use one of the six cards in your hand to decide which move is best for you – is it time to get to safety or to get revenge? You decide. Be prepared to be ruthless…while you all have loads of fun. You can change the size and shape of the board to suit. 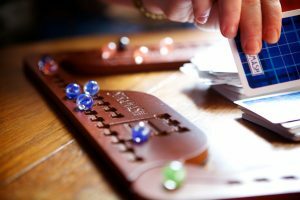 The ingenious design of the wooden board pieces, or Mashies as they are known, means that they interlock to form a board the right size to suit the numbers of players. 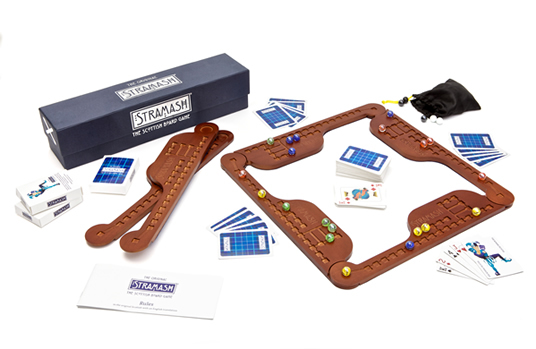 You can play with two to six players, or even more if you have more than one Stramash set! This means that players are close enough to each other to encourage plenty of Stramashing. 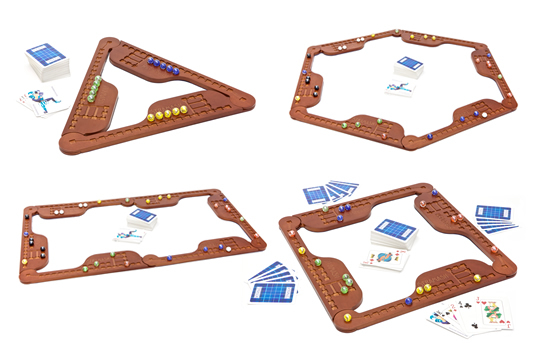 As an added bonus, you can adjust the board to suit the shape of your table – how braw is that? 6 x high quality wooden Mashies/board sides with baize covered bases. 3 x packs of exclusive Stramash playing cards. 36 x coloured Laddies/marbles in a drawstring bag. Rule booklet in Scottish with an English translation. 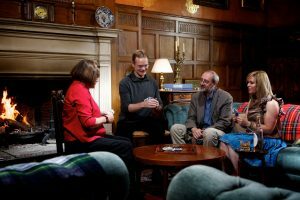 The booklet also includes just a few examples of how Stramash may have influenced Scottish heritage.